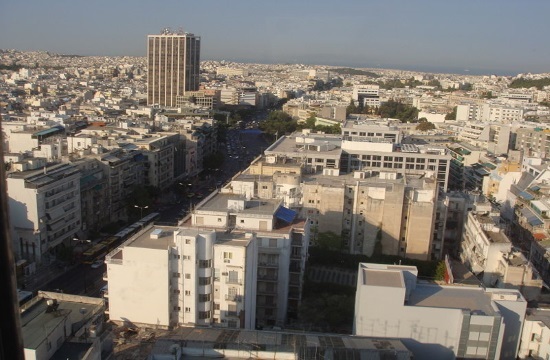 A joint ministerial decision on Monday stipulated the conditions for eligible borrowers to be granted a partial state subsidy for their monthly mortgage payments, following the recent ratification of a new successor legal framework to protect primary residences from creditors, naftemporiki.gr reports. According to the decision, the state subsidy will be allocated on a monthly basis and hover at between 20 to 50 percent of the monthly mortgage payment. A different level of subsidization is foreseen for the type of eligible loan, i.e. such as business loans with property used as guarantees. Among others, an eligible borrower, his or her spouse, and all dependents - as listed on the application - must file individual tax statements annually, declare changes in their particulars on a specific online platform and also consent to possible visits by inspectors at their residence for an on-site verification of the composition of the dependent family unit - the latter being an unprecedented clause in the country. Fines are also envisioned for erroneous or misleading information. The level of the subsidy is based on the annual income declared by the applicant, with 17,500 euros being the highest "cut-off" point, and different levels for a married couple, and rising with each dependent, up to three maximum. The state's subsidy will continue during the duration of the agreed-to settlement, and as long as the beneficiary fulfils the conditions of the settlement.